The Coca-Cola Company will provide electric vehicle (EV) charging at seven of its facilities across California. NRG eVgo, a subsidiary of NRG Energy, Inc., will install and manage the charging stations to provide workplace charging for Coca-Cola employees with EVs, the company announced. Coca-Cola is participating in the eVgo Ready for Electric Vehicle (REV) program to support their employees’ sustainable choices. The REV program provides qualified workplaces with turn-key EV charging solutions, including charger operation, maintenance, and driver support 24 hours a day. The Level 2 chargers, dedicated for the use of individuals working at the location, are compatible with all EVs. 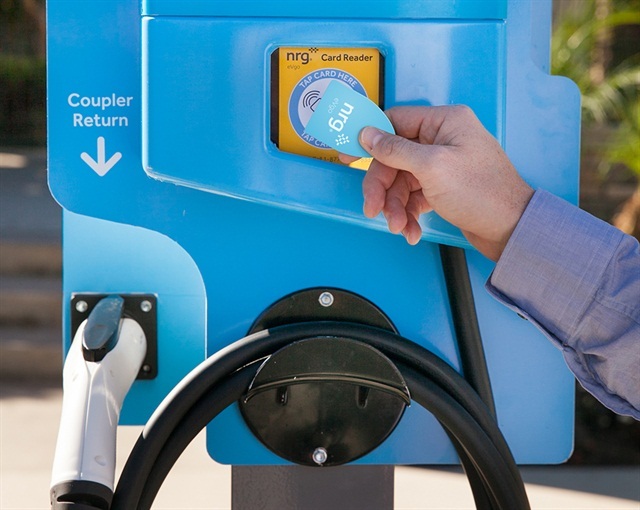 With over 100 fast charge stations currently installed across California, drivers who sign-up for eVgo workplace charging can also select to have access to the extensive and growing eVgo fast charge network which is able to charge most EVs with a fast charge port in 30 minutes or less, according to the company. The eVgo chargers will be located at Coca-Cola campuses in Sacramento, Coachella, Downey, Sylmar, and downtown Los Angeles, as well as two facilities in San Leandro.